This chapter takes another look at Schumpeter’s theory and definition of innovation and its relationship with modern intellectual property laws. It finds that intellectual property protection regimes have historically been ‘value-neutral’ in their approach. Accordingly, they protect all innovations notwithstanding the negative externalities that might result from (widespread) adoption of the innovations. 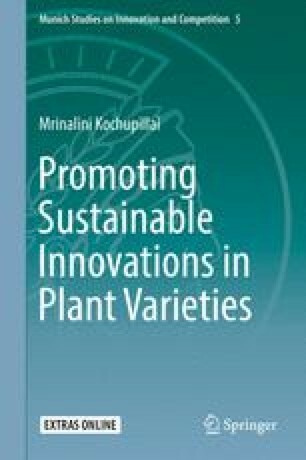 IP regimes are therefore not the most suitable instruments to promote sustainable innovations in plant varieties. Summarizing the specific negative externalities associated with present day innovations in plant varieties, the chapter further finds that the ‘market failure’ theory which is often used to justify the introduction of intellectual property rights for various fields of innovation can be better used as a justification to deny or limit intellectual property protection for plant varieties.